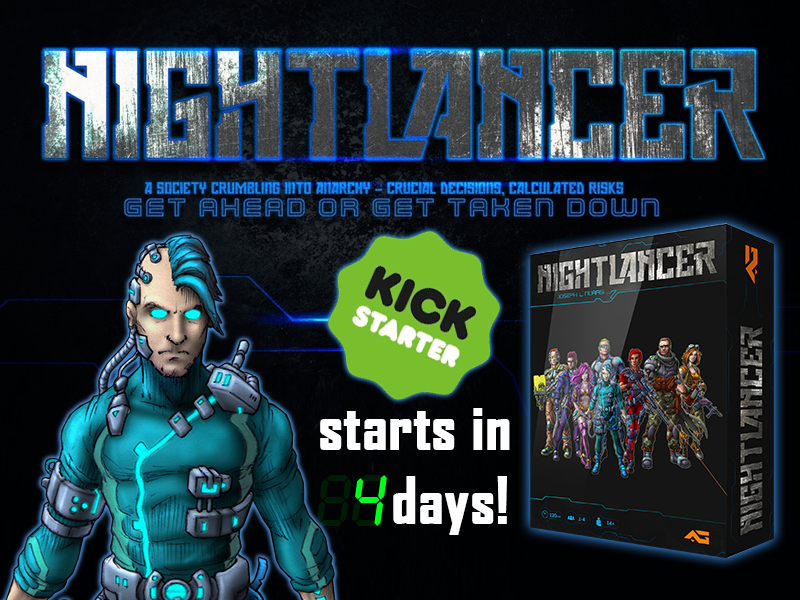 Nightlancer is coming to Kickstarter in 4 days! There are many events lined up during June where players can come to try out Nightlancer and find out if they want to support the campaign. UK Games Expo – For the 1st to 3rd of June at the NEC in Birmingham there will be a full weekend of demoing Nightlancer! Find Nightlancer at table 2-G3. Dark Sphere – On the 9th June I will be demoing in the Dark Sphere store in London. Birmingham Boardgames Bash – On the 16th June I will be attending a game designers event at Meeple Mayhem in Birmingham, where you can play Nightlancer as well as see games in development by other designers. Q-Con – On the 22nd-24th June I will be at Queen’s University in Belfast demoing for the whole event. I hope to see many new players and old fans at these events! Copyright © 2019 Adversity Games. Proudly powered by WordPress. Blackoot design by Iceable Themes.